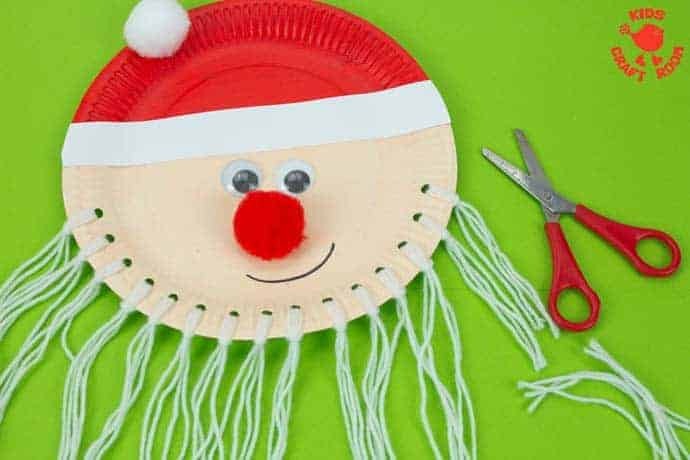 This simple paper plate Christmas craft lets you thread a long beard for Santa and then kids can have loads of fun trimming Santa’s beard to make him look smart for the big day! 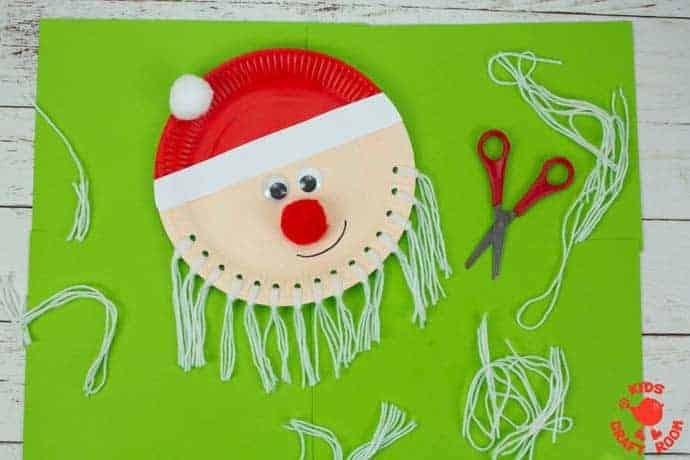 You can make the beard on this interactive paper plate Santa craft as long as you like and when the kids have enjoyed trimming Santas’s beard once it’s easy to thread it up again for the fun and scissor skill practise to start all over! 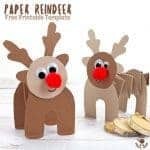 While you’re here you can see our other favourite Christmas crafts. 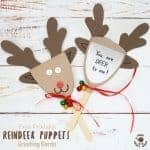 We adore these Reindeer Puppets, Accordion Reindeer, Printable Reindeer Antler Hats and Handprint Angels. 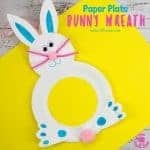 If you are looking for a paper plate Santa craft that includes his whole body we love these cute Santa’s from Craftulate. 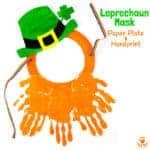 1 – First of all paint about two thirds of your paper plate a skin colour of your choice for Santa’s face. He can be any ethnicity you like. 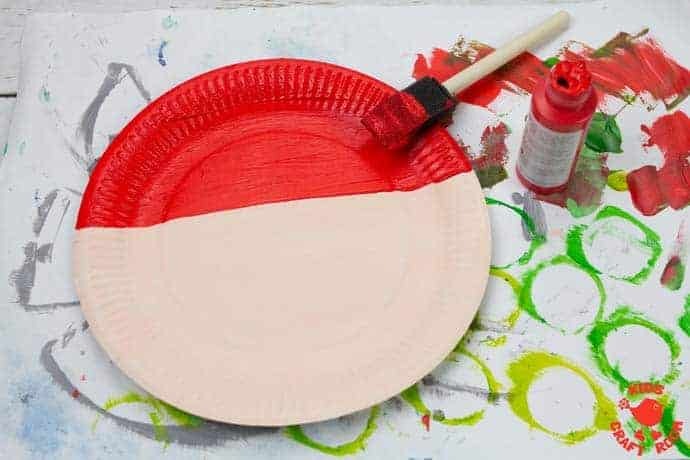 2 – Next paint the top third of the paper plate red to make Santa’s hat. 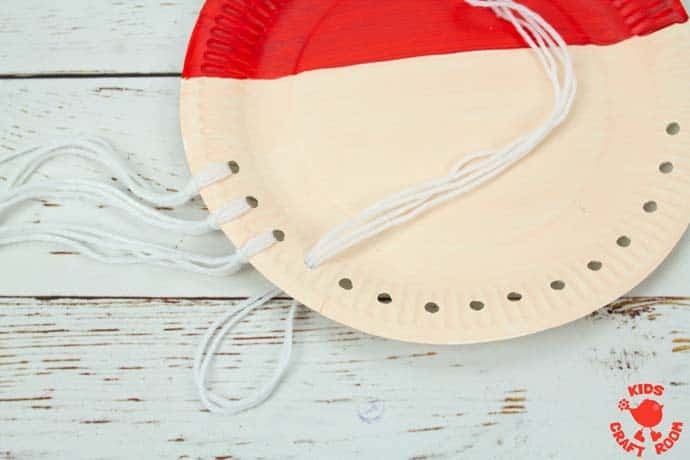 3 – Because we need to attach a yarn beard to your paper plate Santa you need to use your single hole punch to make holes along the bottom of Santa’s chin. 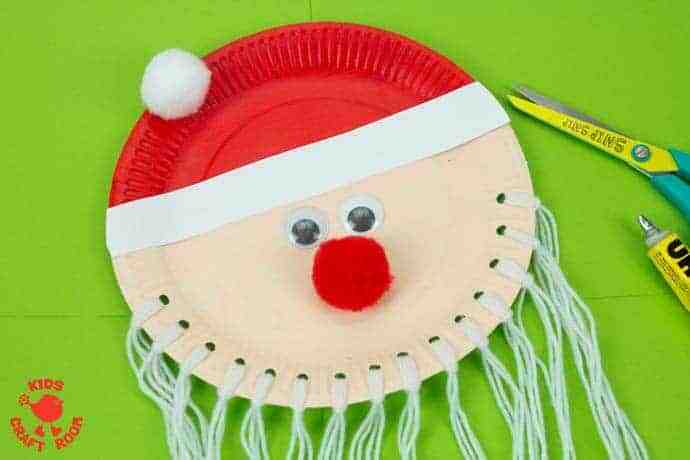 4 – To make Santa’s beard cut a strand of white yarn about an arm span long and fold it in half. 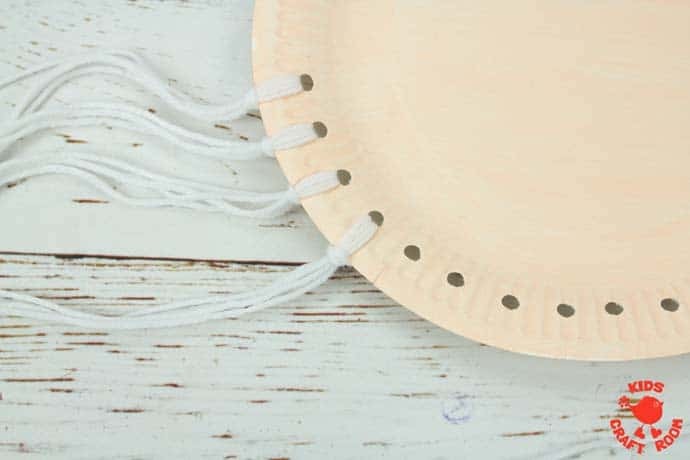 Then fold it in half again and push the fold through a hole in the paper plate to leave a loop on the underside. See the photograph above. 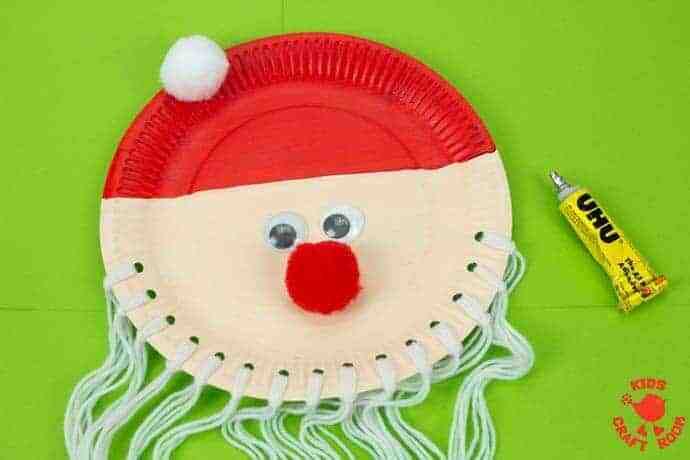 5 – To attach Santa’s beard push the length of yarn through the loop and pull it tight to secure it. 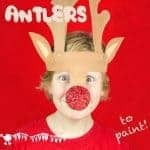 6 – Continue adding strands of Santa’s beard to all of the chin holes. 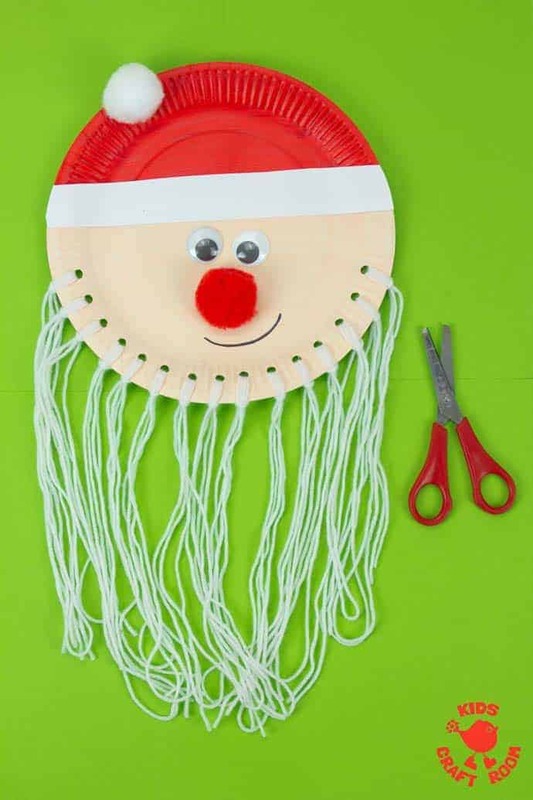 7 – Give Santa a face by glueing on some googly eyes and a red pom pom for his nose and a white pom pom for his hat. 8 – To make the white band for Santa’s hat cut a strip of paper and glue it on. Next trim off any excess from the ends. 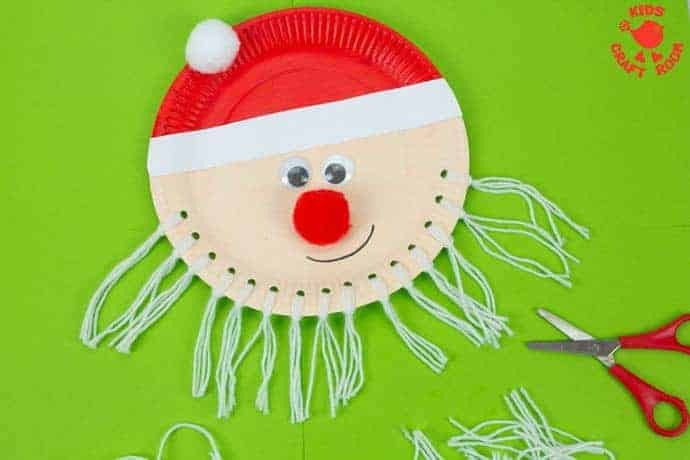 9 – Finally draw a jolly smile and your Trim The Beard Paper Plate Santa Craft is ready to be enjoyed! Of course you can make your Santa’s beard as long or short as you like. If you have older kids experienced with cutting yarn you could double your yarn to make the beard thicker. 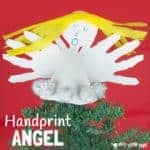 This is certainly a lovely Christmas fine motor activity and it’s really simple and fun to make too. 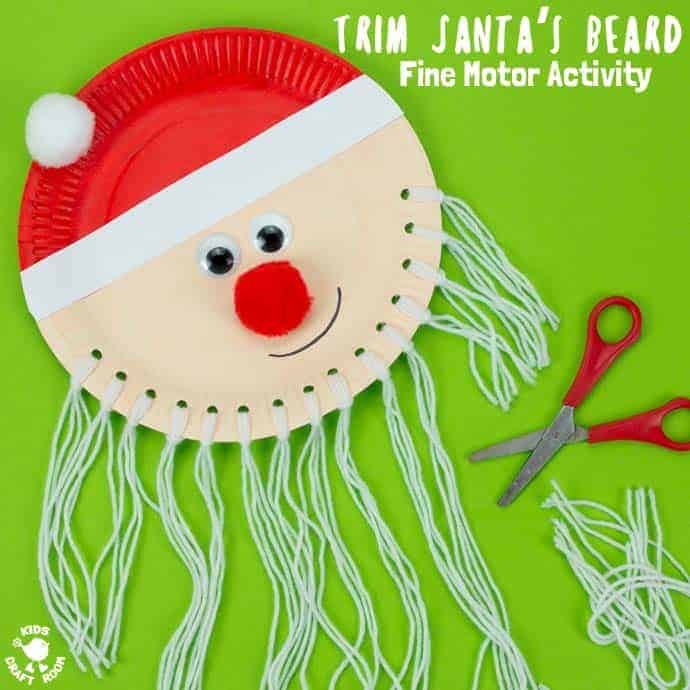 Don’t forget that when the kids have finished trimming Santa’s beard you can either put it on display or rethread it for the fun to begin all over again! 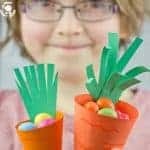 If your children are too young to manage to cut yarn try this simple paper alternative from The Pinterested Parent instead. 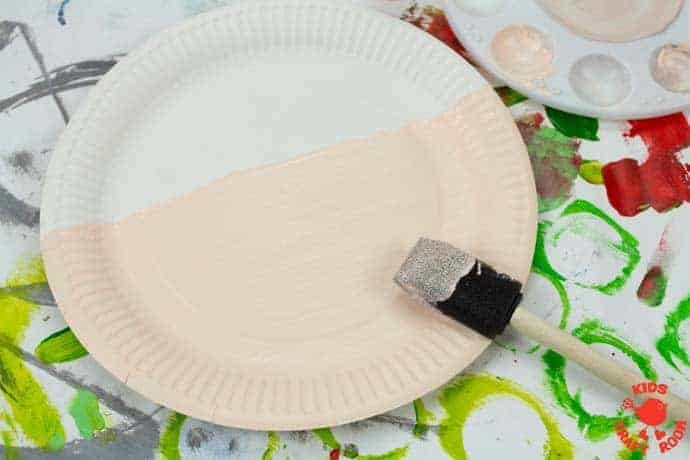 Paint about two thirds of your paper plate a skin colour of your choice for Santa’s face. 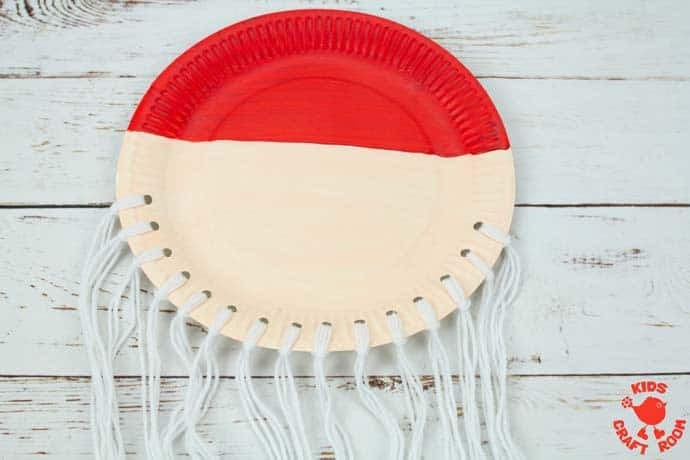 Paint the top third of the paper plate red to make Santa’s hat. Use your single hole punch to make holes along the bottom of Santa’s chin. 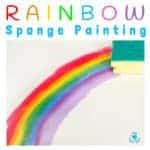 Cut a strand of white yarn about an arm span long and fold it in half. 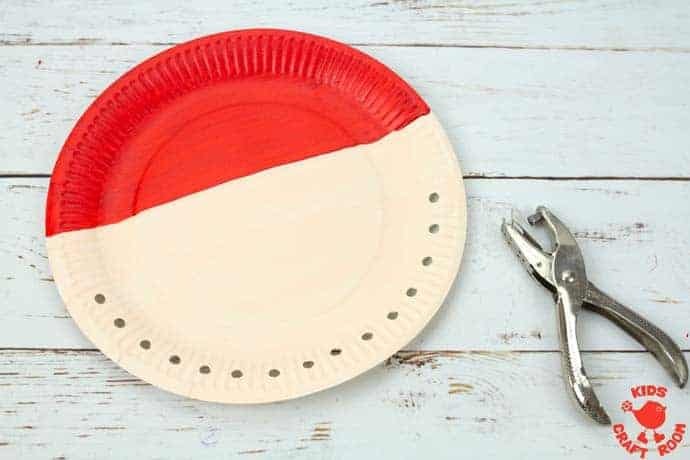 Then fold it in half again and push the fold through a hole in the paper plate to leave a loop on the underside. Push the length of yarn through the loop and pull it tight to secure it. Continue adding strands of Santa’s beard to all of the chin holes. 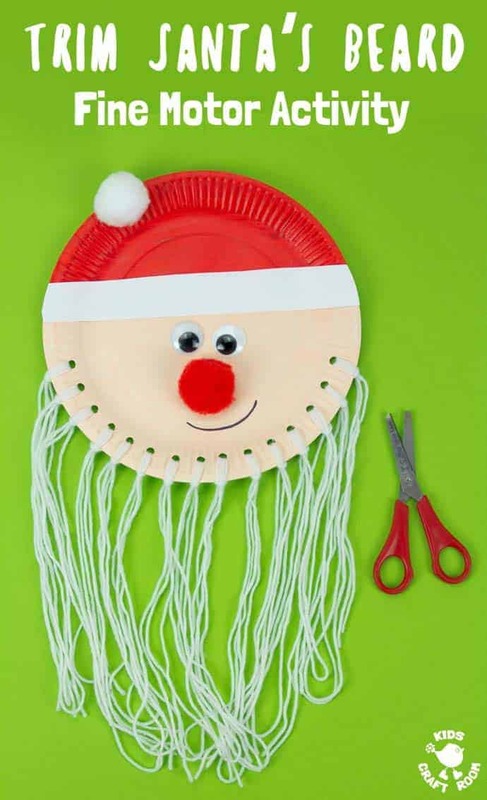 Give Santa a face by glueing on some googly eyes and a red pom pom for his nose and a white pom pom for his hat. To make the white band for Santa’s hat cut a strip of paper and glue it on. Next trim off any excess from the ends.